Compounds that contain transition metals are often coloured. If we react two chemicals together and a new solid is made (one that doesn't dissolve in the solution) we call it a precipitation reaction. Dilute sodium hydroxide solution (NaOH) is used to test for some metal ions and can also be used to identify ammonium ions. Holding a piece of damp, red litmus paper over ammonia gas will turn the litmus paper blue. Carbonate ions, CO32- are detected using any dilute acid (e.g. hydrochloric acid). Bubbles of carbon dioxide gas will be given off when an acid is added. We can pass the gas through limewater and if it turns the limewater cloudy it will confirm the gas is carbon dioxide. Sulfate ions (SO42-) can be tested for using barium chloride. Barium sulfate will form, which is an insoluble white precipitate. We add acid first, because carbonate ions will also produce a white precipitate with barium chloride solution. The acid is added so it can react with any carbonate ions that may be present, and so removing them, so they can't give a false result for sulfate ions. 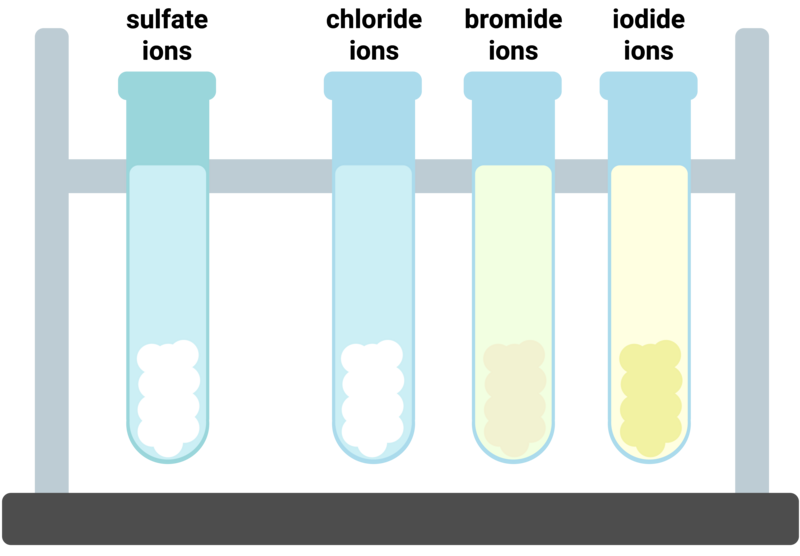 Silver ions will react with halide ions (Cl⁻, Br⁻ or I⁻) to form insoluble precipitates. We add acid first, because carbonate ions will also produce a white precipitate with silver nitrate solution. The acid is added so it can react with any carbonate ions that may be present, and so removing them, so they can't give a false result for chloride ions. Flame photometers (often referred to as a flame emission spectroscope) is an instrumental method used to analyse metal ions. 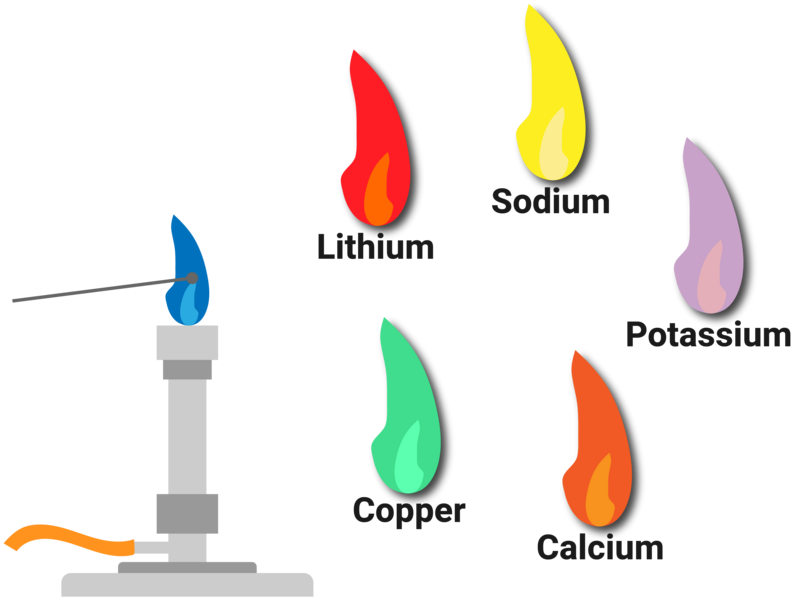 If there is a mixture of ions, one colour may be covered up by another in a flame test. In an emission spectrum, the intensity of the light is actually a measure of concentration of the different elements. This means that the ratio of ions present can be determined. A reading can be taken from the flame photometer for different concentrations of a metal ion in solution. These readings are then used to plot a calibration curve. 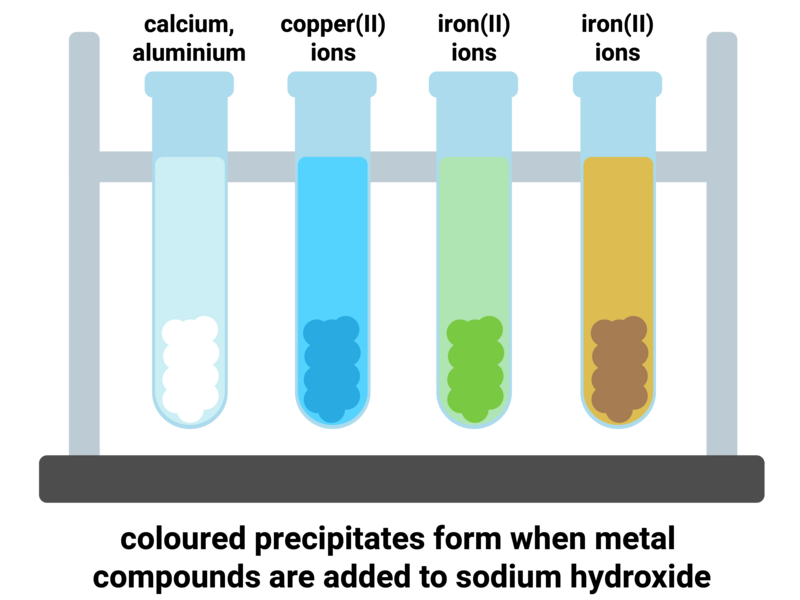 Having a calibration curve of known samples, allows scientists to be able to identify the concentration of a sample just by looking at the graph! 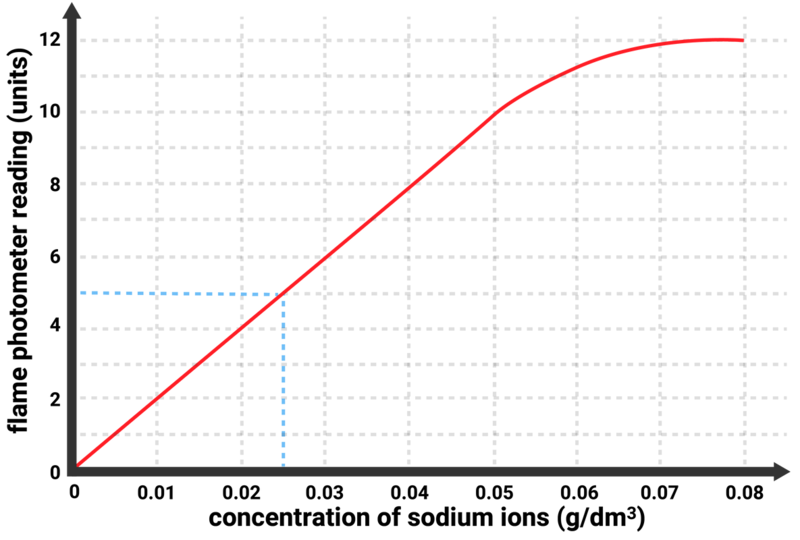 For example, if a solution of sodium ions gave a reading of 5 units on the flame photometer, then the calibration curve allows us to read off that the sample had a concentration of 0.025 g/dm3.